class="page-template-default page page-id-9448 wpb-js-composer js-comp-ver-3.6.12 vc_responsive"
The biggest “under the radar” live audience program on public radio will reach the milestone 1000th broadcast November 2019. 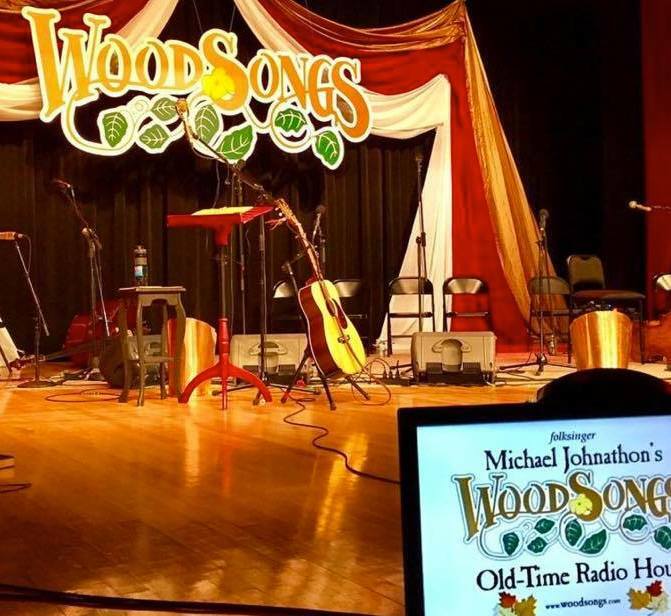 Folksinger and Michael Johnathon started the Americana format “WoodSongs Old-Time Radio Hour” in 2001, in a tiny studio that barely seated 12 people airing on just one college radio station. 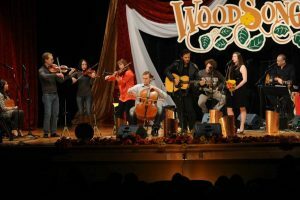 “WoodSongs” is truly unique in the world of musical radio and television programs, as it is produced entirely by volunteers. 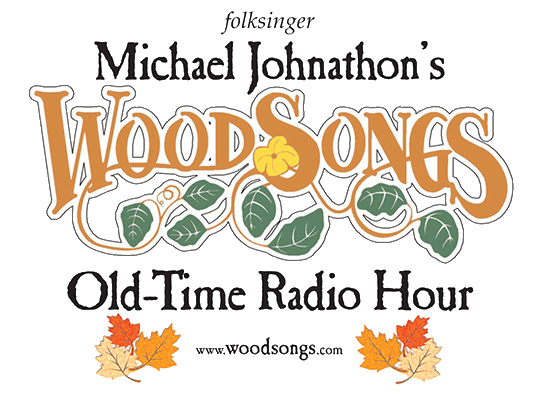 Today, WoodSongs is heard from Australia across America to Ireland on 537 public, community (available from PRX) and commercial radio stations worldwide, including the American Forces Radio Network, which broadcast the show on two channels in 177 nations which includes every military base and U.S. Naval ships in the world. The show has recently been added to the legendary WSM 650 AM home of the Grand Ole Opry, who elected to air the public radio edit. The public television version (available via NETA) airs in 96M USA TV homes from LA to Las Vegas to Vermont on PBS affiliates plus the RFD-TV Network throughout the United States. 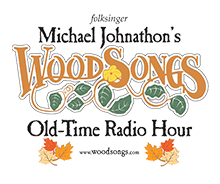 WoodSongs is the only music broadcast fully available to teachers and home school families. It is distributed in partnership with the University of Kentucky with lesson plans, at no charge, to thousands of schools for use in the classroom, and has one of the biggest roots music archives anywhere. 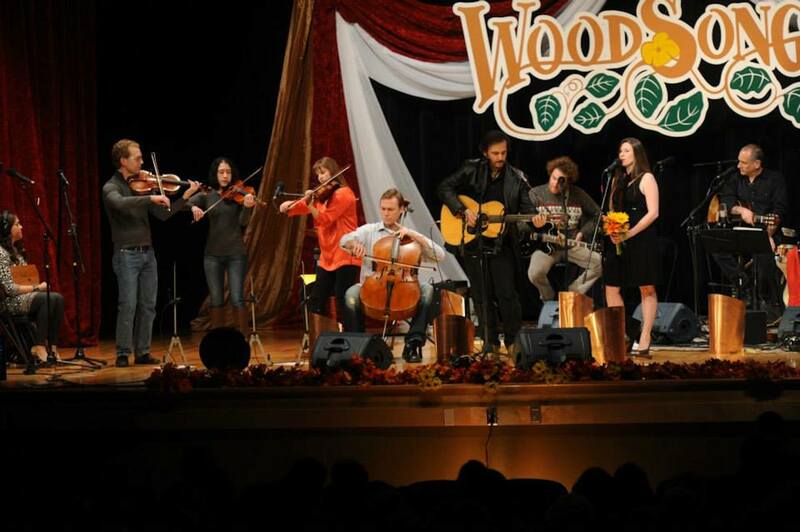 Each program has a segment devoted to a “WoodSongs Kid,” a young, unknown artist. 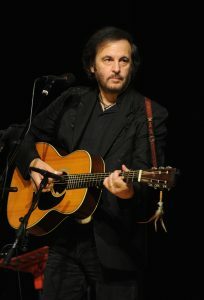 See www.WoodSongs.com. 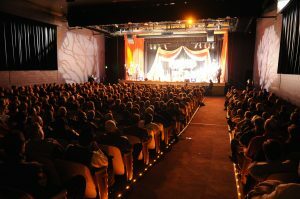 The show will make media history, when it tapes its 1000th broadcast on, or about November 18, 2019, in Lexington, Kentucky. (The exact date is subject to change, but can be confirmed by this fall.) 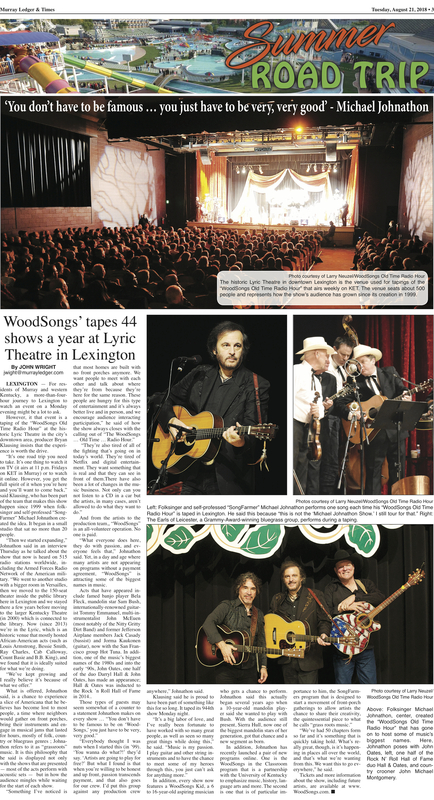 “WoodSongs” tapes on most Mondays in front of a live audience at the historic Lyric Theatre in Lexington, Kentucky. Previous guests have included the likes of John Oates, Roger McGuinn, Judy Collins, Jewel, Tommy Emmanuel, Bela Fleck, Blind Boys of Alabama, Amy Grant, Wanda Jackson, Chris Thile, Odetta, Rhonda Vincent and many more.